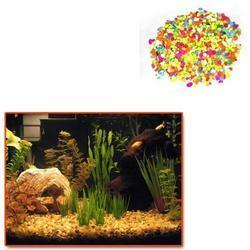 Pioneers in the industry, we offer aquarium gravel for plants from India. We are a reliable firm offering Aquarium Gravel for Plants to our clients since our inception. These gravels are available in various designs, colors and sizes so as to let the clients customize as per their requirement. These are manufactured in such a way that they can stay like new for a longer period of time. These are specifically designed for plants. Proper testing is done of these products so that there are no flaws and defects when it gets delivered to the client's door. Also the price range is budget friendly. Looking for Aquarium Gravel for Plants ?